Milo's opened a little restaurant next to their store. And for while the only thing on the menu was a egg salad sandwich. One day I went to have lunch and there was a handwritten sign on the door that said closed for their lunch break. For a long time Milo Paz’s property used to be the end of the village on the northern end. It was so until Paradise Hotel was opened just past Milo’s and then the village simply expanded and blossomed all the way up north. First there was Milo’s Hotel with the cemetery directly in front of it. Then there was Milo’s Store. And which child in the 1980’s doesn’t remember with fondness the Arcade Games that attracted hundreds of children at Milo’s place. Indeed Milo’s place has undergone a lot of transformation as was the time when they were hosts to the famous Sandal’s Pub. Then there was Milo’s Ice- all of which has always been with the very professional and hospitable service of its proprietors Milo Paz Sr. and Mrs. Velie Paz. 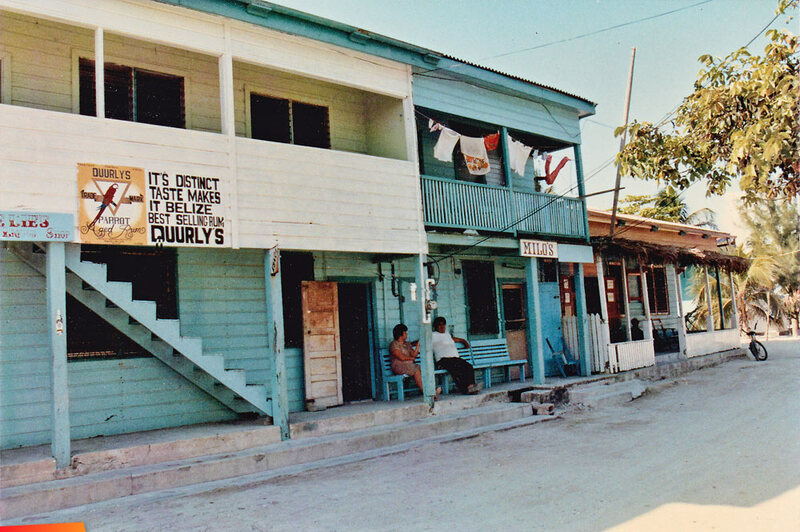 It can be said with much certainty that even though it was the end of the village, Milo’s Place has always been a very popular place for this island, town and community.